Light copper color. Sweet, attractive aromas of fresh beets, dill, and melted butterscotch with a creamy, lively, dryish full body and a warming, medium-length honey comb cereal, chopped almond in chocolate, caramel bar, and leather finish. A pretty rum that will add complexity to craft cocktails. 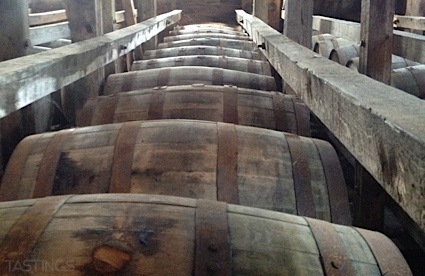 Bottom Line: A pretty rum that will add complexity to craft cocktails. 88 • Bounty Premium Gold Rum 40% (Saint Lucia) $17.99. 90 • Bounty Premium White Rum 40% (Saint Lucia) $17.99. 88 • Bounty Premium Spiced Rum 40% (Saint Lucia) $17.99. 91 • Bounty Premium Dark Rum 43% (Saint Lucia) $20.99. 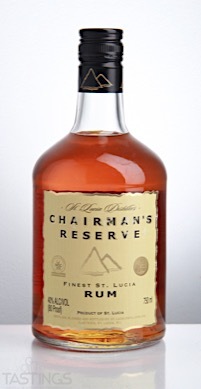 93 • Chairman’s Reserve Spiced Rum 40% (St. Lucia) $27.99. 92 • Chairman’s Reserve Dark Rum 40% (St. Lucia) $27.99. 94 • Chairman’s Reserve The Forgotten Casks Aged Rum 40% (St. Lucia) $49.99. 95 • Clément 6 Year Old Très Vieux Rhum Agricole 44% (Martinique) $59.95. 93 • Clément Canne Bleue Rhum 50% (Martinique) $34.95. 94 • Clément X.O. Rhum Agricole 42% (Martinique) $54.99. 91 • Clément 10 Year Grande Reserve Rhum Agricole 42% (Martinique) $74.99. 95 • Damoiseau Rhum Agricole 55% (Guadeloupe) $36.95. 88 • Damoiseau Cane Rhum 40% (Guadeloupe) $32.95. 94 • Damoiseau XO Rum 42% (Guadeloupe) $72.95. 92 • J.M. Shrubb Liqueur d’Orange 35% (Martinique) $34.99. 92 • Rhum J.M VO Rum 43% (Martinique) $39.95. 93 • Rhum J.M XO Rum 45% (Martinique) $74.95. Chairman’s Reserve Dark Rum rating was calculated by tastings.com to be 92 points out of 100 on 3/30/2017. Please note that MSRP may have changed since the date of our review.